A Seoul court ruled Friday that Lotte Confectionery, the snack-making arm of Lotte Group, stole a Japanese competitor’s packaging design for its upscale Pepero Premier biscuits. The ruling is expected to force Lotte to halt its rollout of the product and dispose of the existing stock. 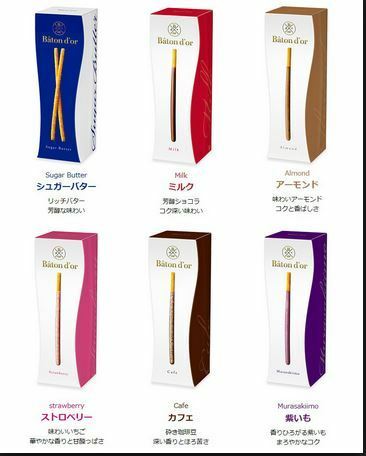 The verdict came from the Seoul Central District Court, which concluded that the package and snack designs of Pepero Premier were too similar to those of Baton d’or by Japanese confectionery producer Glico. “Lotte’s Pepero Premier was introduced to the local market after Baton d’or, and infringes on Glico’s design rights,” Judge Lee Tae-soo said. 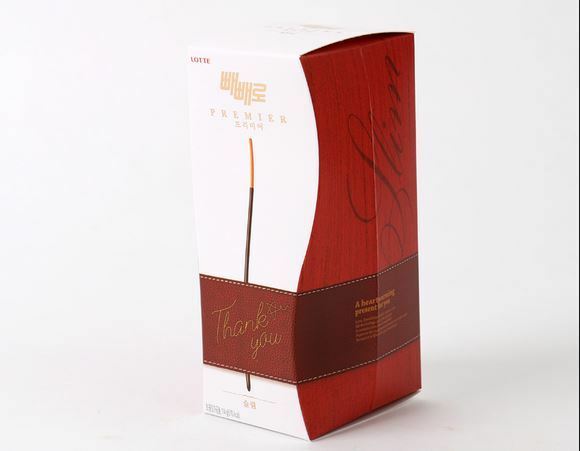 “From the shape of the biscuit itself to the color and overall construction of the packaging, we find Pepero very similar to Baton d’or, leading us to conclude that the former was heavily inspired by the latter. Because Pepero Premier and Baton d’or are market competitors targeting similar customers, Lotte could damage Glico’s sales,” he added. Glico sued Lotte Confectionery over the design last year, pointing out that Lotte had used a white cover with the image of the pole-shaped biscuit on the rectangular packet, and created S-shape curve on the front, the same as Baton d’or. Lotte initially refuted that the design had existed long before Glico’s and that the Pepero packaging was a spin-off of that design. Pepero Premier, the upscale version of Lotte’s best-selling biscuit stick coated with chocolate, was released late last year, targeting the famous “Pepero Day” that falls on Nov. 11. During the occasion when people exchange stick-shaped snacks, Lotte Confectionery is known to generate 35 percent of the annual sales revenue. Baton d’or was launched in 2012. But this is not the first time the companies have been involved in the piracy claims. Lotte’s best-selling Pepero in both Korea and Japan has long been accused of copying Glico’s Pocky biscuit sticks. Pepero was released in Korea in 1983 while Glico released Pocky in 1966. However, Glico did not seek litigation for the alleged Pocky piracy. Lotte Confectionery did not return The Korea Herald’s call for comment.